This ten pound (estimate) catalog is pretty amazing. Here’s how the cover opens. 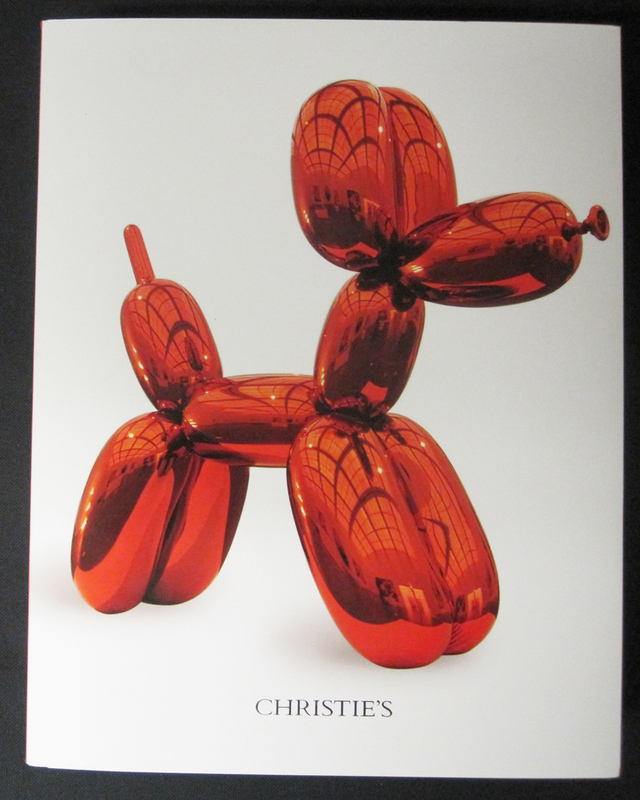 There’s charming Jeff Koons on the inside flap of the dust jacket. 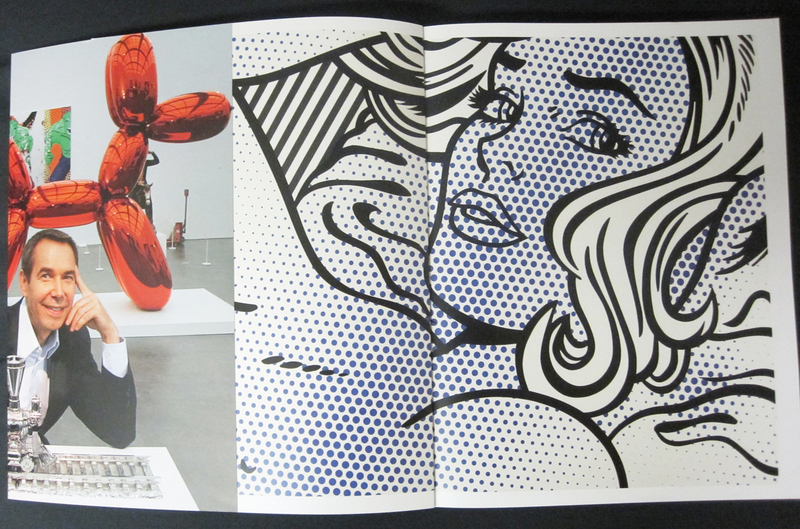 And a Roy Lichtenstein (Seductive Girl, 1996, estimate $22-28 million) on the flyleaf. But wait! Here’s the book cover with Lucio Fontana’s Concetto spatziale, La fine di Dio, 1963 (est. $15-20 million). 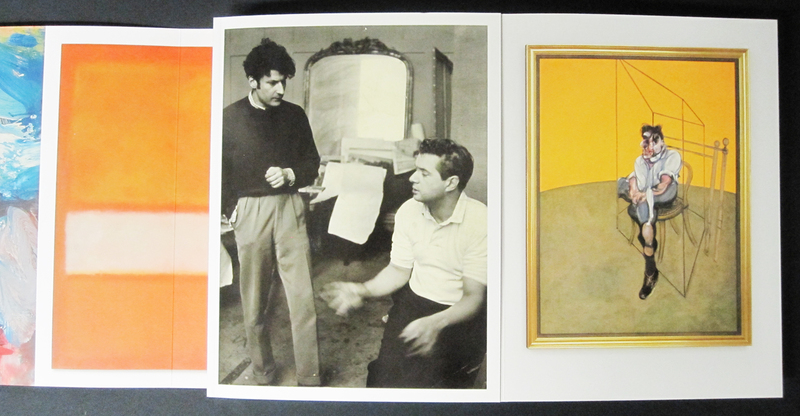 And inside the dust jacket, De Kooning, Untitled VIII, 1977 (est. 20-30 million), and Rothko, No. 11 (Untitled), 1957 (est. $25-35 million). And there’s the big star! You need a three page foldout for a painting like this. But wait! There’s another one inside! And…after 10 pages of copy about the painting…one more fold out! Now that’s how you promote a painting! 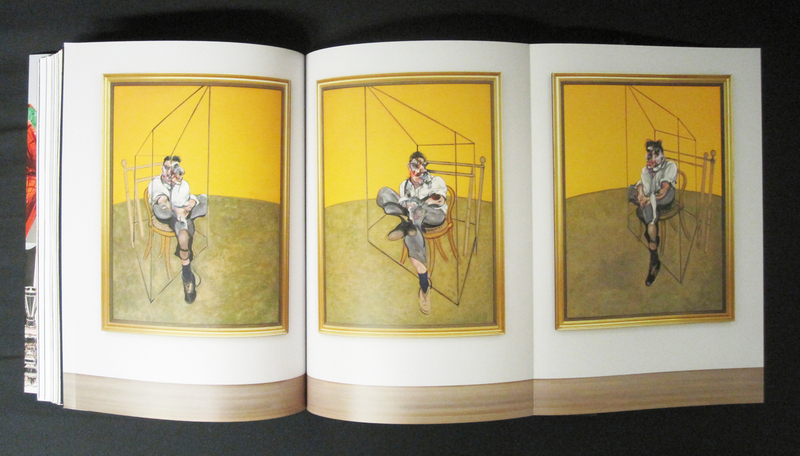 Francis Bacon’s painting Three Studies of Lucian Freud sold for $142 million. It doesn’t, really. Let’s look at some other commodities. The most expensive baseball card is the Honus Wagner card, produced by the American Tobacco Company for its T206 series of baseball cards between 1909 and 1911. 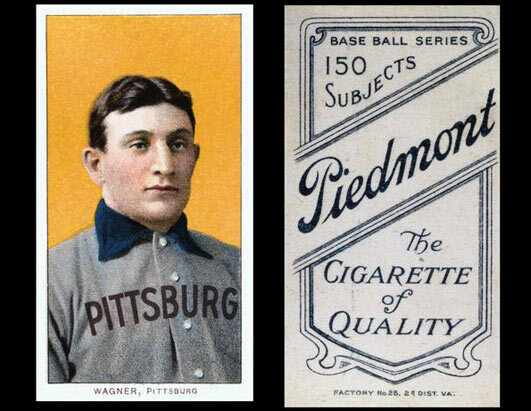 Wagner didn’t like tobacco and told the company to stop making the card, so there aren’t very many around. 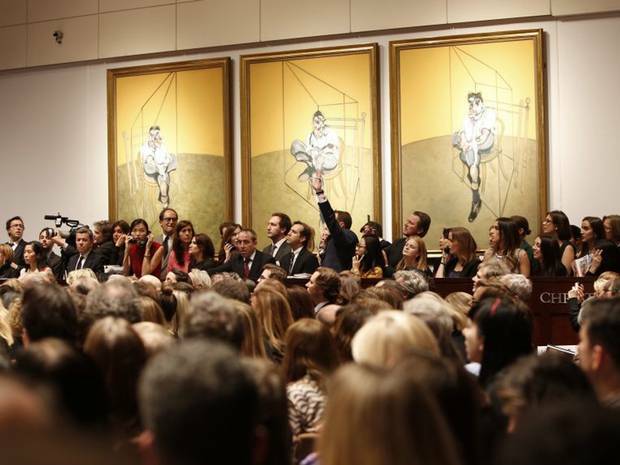 One example has been sold for $2.8 million. It is 2 5/8” tall by 1 7/16” wide, an area of 3.94 square inches. So it cost about $700,00 per square inch. The Bacon paintings are each about 4524 square inches in area, so at the baseball card rate, worth about $3.2 billion each. Of course there are three of them, so the total would be worth $9.5 billion. It sold for $2.3 million. 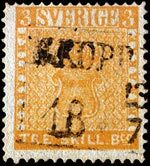 I don’t know how big that stamp actually is, but if it is the size of a common USA commemorative it would be about 1.5 square inches, so worth about $1.5 million per square inch. At that value per square inch the Bacon would be worth $20.4 billion. 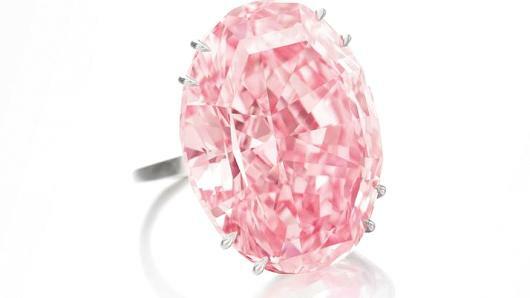 The most expensive diamond (or any jewel) is a 59.6-carat flawless pink diamond called the “Pink Star,” auctioned for $83.2 million. That’s $199 million per ounce or $3,184,000,000 per pound. Say the Bacon work overall weighs just 100 pounds, that’s $318.4 billion. 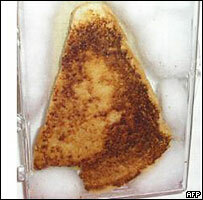 A woman who said her 10-year-old grilled cheese sandwich bore the image of the Virgin Mary sold it for $28,000 on eBay. I don’t know how big that grilled cheese actually is, but let’s say it’s a triangle with a 3” base and 5” tall, so 7.5 square inches, just $3,733 per square inch. At that rate the Bacon is worth only $50,668,800. Evidently toast is more reasonably priced than art.